La Dolce Piazza specialise in finger buffets & platters from corporate to private parties. We have catered for many years & have built our reputation on recommendations. Call Caterina for more info 0208 887 0880. For all occasions Domenico guarantees the most comprehensive coverage of your day, whether that is your wedding day, christening, barmitsva, birthday or whatever occasion that you would like to capture. Fluent in Italian, Spanish and English. Wedding and bar mitzvah event videographer in Greater London, England. Professional and unobtrusive, with unbeatable prices. 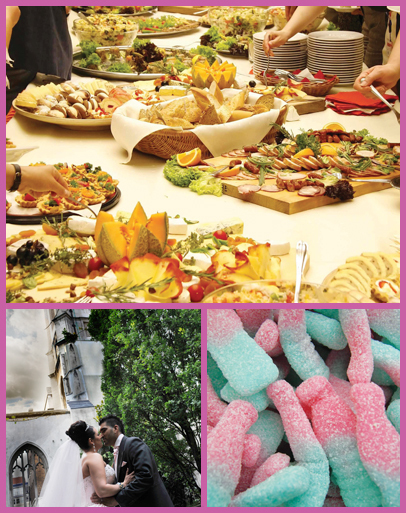 Let Simply Catering help you to organise and cater for your wedding reception, party, hot or cold buffet, corporate lunches, dinner parties and summer BBQ’s.